Raw Turmeric is imprortant for Indigestion, Cough and Cold. Home Product Of The Month Curcumin How to use Raw Turmeric for Indigestion, Cough and Cold ? Be it dal, sabzi, paratha or pulao, raw turmeric is an integral part of Indian cuisine which imparts flavour and colour to the food. 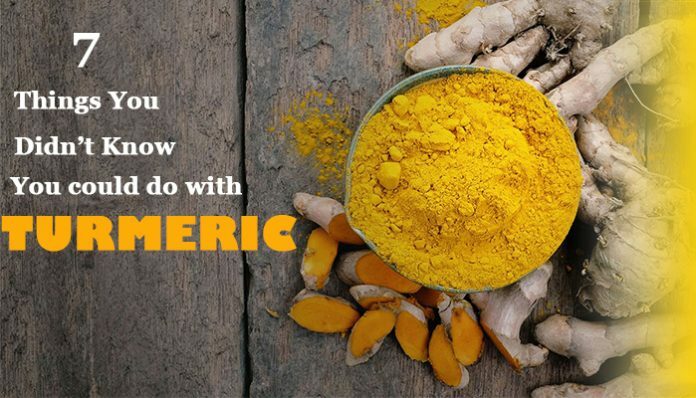 There are several health benefits of raw turmeric too. Besides raw turmeric powder, including raw turmeric (turmeric root) in the diet also helps in dealing with common health problems naturally. Our expert, Nutritionist and Lifestyle Coach, shares common methods to use turmeric as a natural remedy for indigestion, sore throat and cough and cold. Raw turmeric (also known as turmeric root) is available in local markets and even superstores. Indigestion, throat pain, cough and cold to reduce the use of raw turmeric! Turmeric has antiseptic, antiviral, antibacterial, anti-inflammatory, stimulative, anti-spasmodic, antifibrotic, expectorant, blood purifying, and disinfectant properties. Drinking turmeric latte (haldi doodh) before going to bed not only induces sleep but also helps you deal with cough and cold. Crush a small piece of turmeric in mortar and grinder. Mix crushed turmeric in a bowl containing a glass of boiled milk. Add a teaspoon of jaggery or sugar to the drink and drink when warm. Fresh turmeric when used in combination with garlic and ghee helps in relieving indigestion. If you have stomach pain eat boiled fresh turmeric with garlic. It is due to the presence of curcumin and oils that alleviate indications of indigestion and stomach-ache. The therapeutic activity of raw turmeric is due to its anti-inflammatory compounds, which acts as a sore throat. To a teaspoon of fresh turmeric paste, add half a teaspoon of garlic paste and a teaspoon of jaggery. Warm the mixture a little before eating it. Do this twice a day to treat a sore throat naturally. During pregnancy and while breast-feeding, turmeric is LIKELY SAFE when taken by mouth in amounts commonly found in food. It is LIKELY UNSAFE when taken by mouth in medicinal amounts during pregnancy. It might promote a menstrual period or stimulate the uterus, putting the pregnancy at risk. Do not take therapeutic quantities of turmeric if you are pregnant. Turmeric can make gallbladder problems worse. Do not usage turmeric if you have gallstones or a bile duct obstacle. Taking turmeric might slow blood clotting. This might increase the risk of bruising and bleeding in people with bleeding illnesses. Curcumin, a chemical in turmeric, may reduce blood sugar in people with diabetes. Use with caution in people with diabetes as it might make blood sugar too low. Next articleWhy winter time is the perfect season for workout program ?